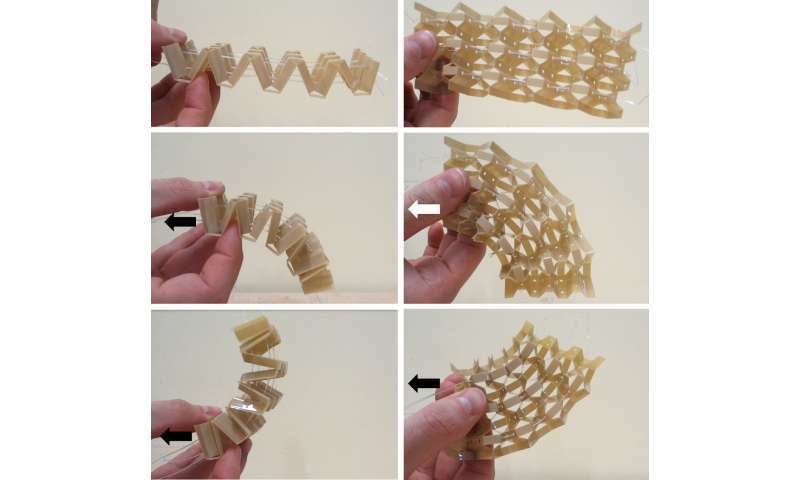 Metamaterials are a class of material engineered to produce properties that don't occur naturally. 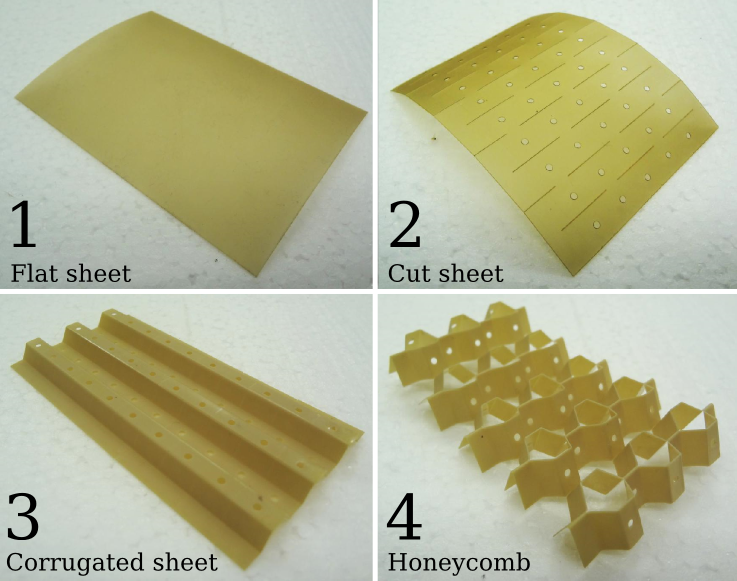 Currently metamaterials are used to make artificial electromagnetic and vibration absorbers and high-performance sensors. 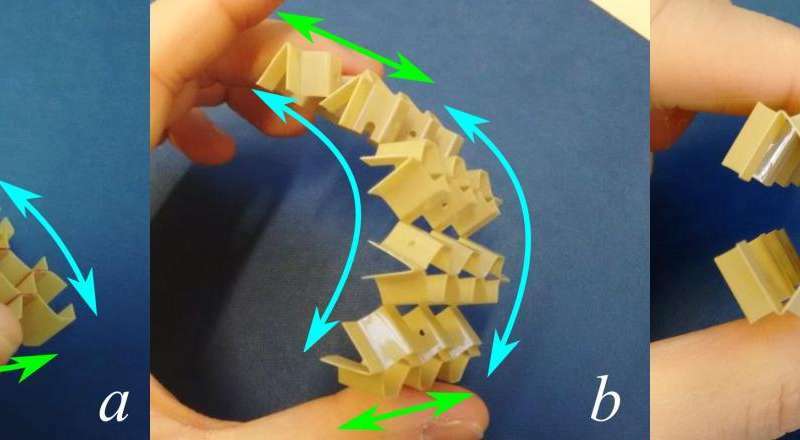 Kirigami can be applied to transform two-dimensional sheet materials into complex three-dimensional shapes with a broader choice of geometries than 'classical' origami. 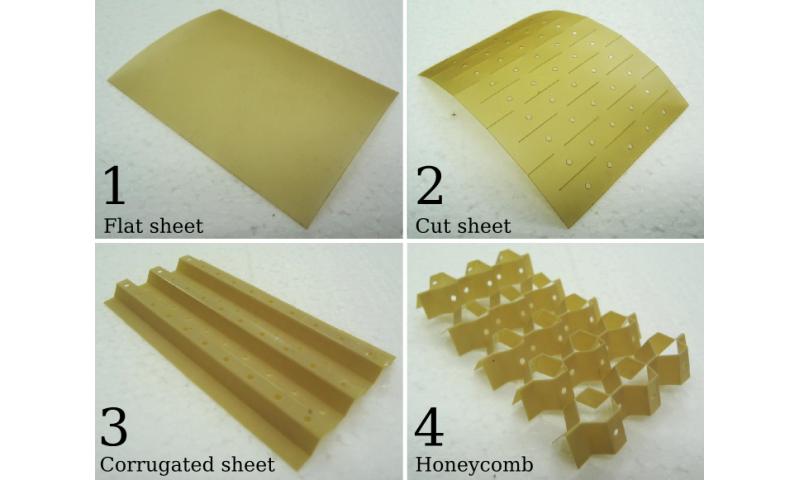 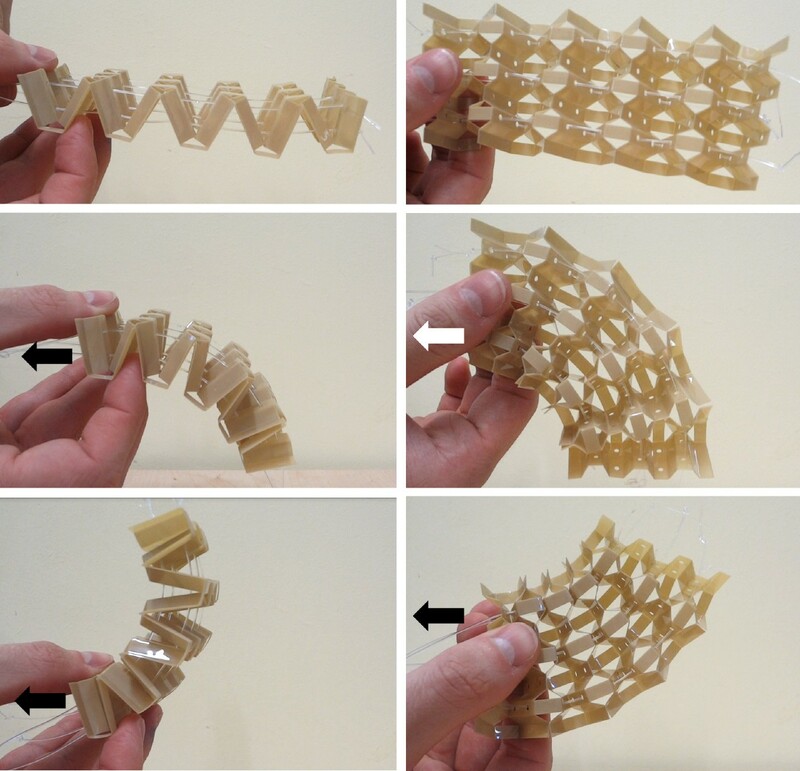 More information: 'Shape morphing Kirigami mechanical metamaterials' by Robin M. Neville, Fabrizio Scarpa and Alberto Pirrera in Scientific Reports.